New Sephora promo! 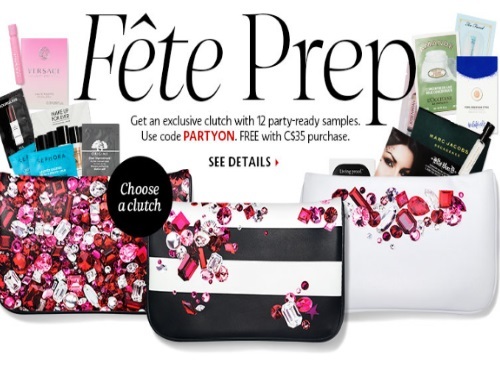 Get an exclusive clutch with 12 party-ready samples online with any $35 purchase! Enter the promo code PARTYON at checkout. Offer available for a limited time.